How many of you will be giving or given chocolate this Valentine’s Day? It’s a pretty standard gift that ensures that February 14th is sickly sweet in more ways than one. Not that there’s anything wrong with chocolate, of course. Just why not give your special someone a little bit more of an imaginative, full-on chocolate experience? You know, a bit of a cocoa thingamabob? Or a sugary whatsit? Or maybe, some… Choccywoccydoodah? 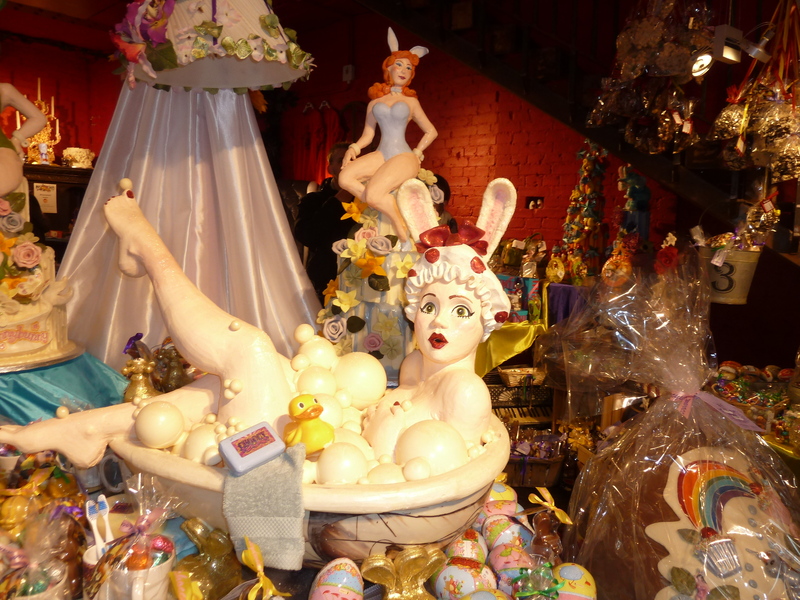 Yes, Choccywoccydoodah does exist and it will excite even the most chocolate-apathetic among us. Hailing from Brighton, they have now set up a shop and café just off London’s Carnaby Street. Imagine what would happen if Willy Wonka’s chocolate factory got it on with a fine lady’s boudoir. You get extravagance, flamboyance, weirdness and wackiness all rolled into one. 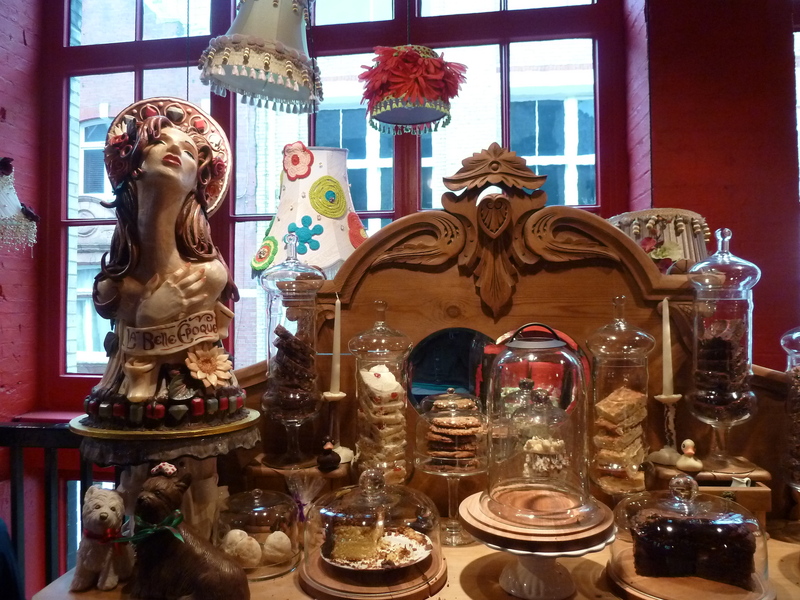 In fact, entering Choccywoccydoodah for the first time will visually overwhelm you. There is too much to take in – it’s an Aladdin’s Cave of all things yummy. Cartoonish models of bunny girls are interspersed with giant marshmallow lollies, strawberry chocolates, hearts and flowers. It’s so over-the-top and playful that I defy you not to grin and squeal, and start examining all the treasures. Up the stairs, you will find a small café split on two levels. The centrepiece is a table covered with cakes that are just as extravagant as the décor. 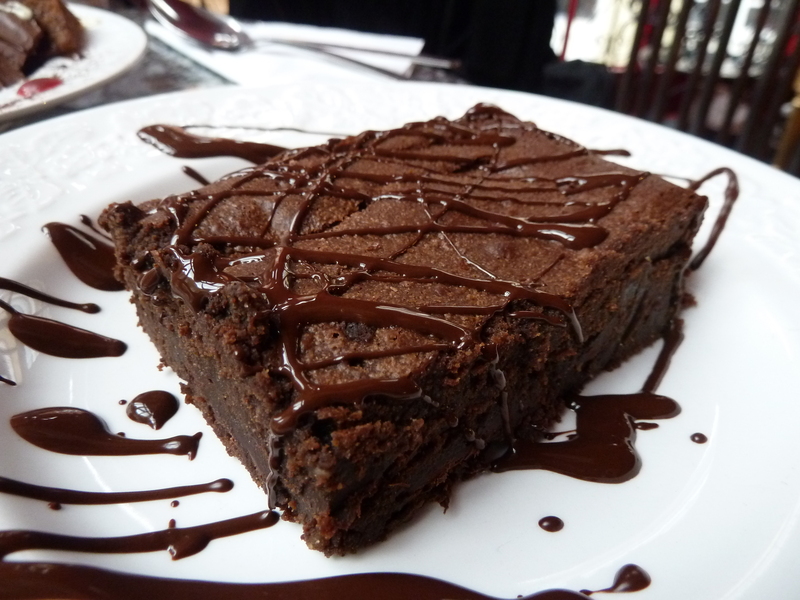 At Choccywoccydoodah, the request of ‘just a small slice, please’ is seriously frowned upon. At Choccywoccydoodah, size is everything. Now that you’ve impressed your loved one with such opulent and ogle-worthy offerings, take a table and order the hot chocolate (£3.50). This is one of London’s best – you can choose from milk, dark or white and it comes with marshmallows, plenty of cream and a chocolate straw. 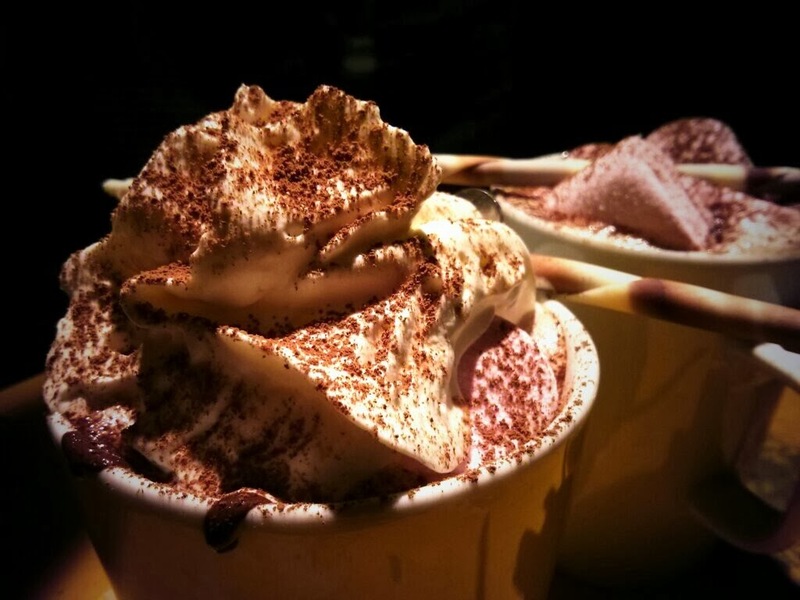 Also on the menu are milkshakes, chocolate fondue and the dangerously sumptuous Choccywoccydoodah sundae. There is enough here for your love affair to weather several repeat visit – and it may also be a teeny-weeny bit addictive. A word of caution: the café does get busy so allow yourself plenty of time as you may have to queue. Just remember that all good and pleasurable things are worth waiting for. Article originally published on Tryum.com, which you check out for loads more London food news.